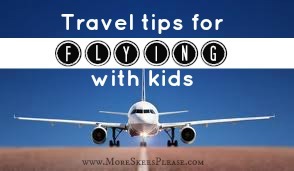 Good to know these tips when traveling with kids! I also have a portable dvd player that they can use to watch movies for them not to get bored while traveling. Great tips! I LOL when I read some of them...been there, done that! Love the idea of having a change of clothes for everyone in a ziploc bag...will have to do that too when we fly again!